What are the dangers to pets and dogs in cars? Dogs Trust, the UK’s largest dog welfare charity, says it can be dangerous to leave pets – especially dogs – unattended in a parked car even for just a few minutes. It claims that partially lowering any windows has no significant effect on the temperature inside a parked car, and stresses that less than 20 minutes in a hot car can prove fatal to a dog should its body temperature exceed 41°C. 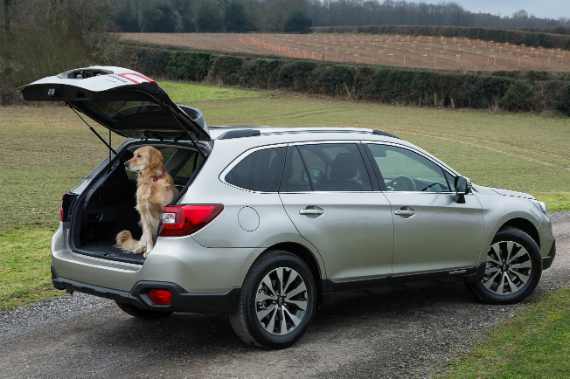 Worryingly, its research suggests that despite being a nation of dog lovers, nearly half of British dog owners (48 per cent) believe it is okay to leave a dog in a car if counter-measures are taken, such as parking under a tree or leaving a window open. If any drivers who carry pets in their car aren’t familiar with rule 57 of the Highway Code, now’s the time to brush up. 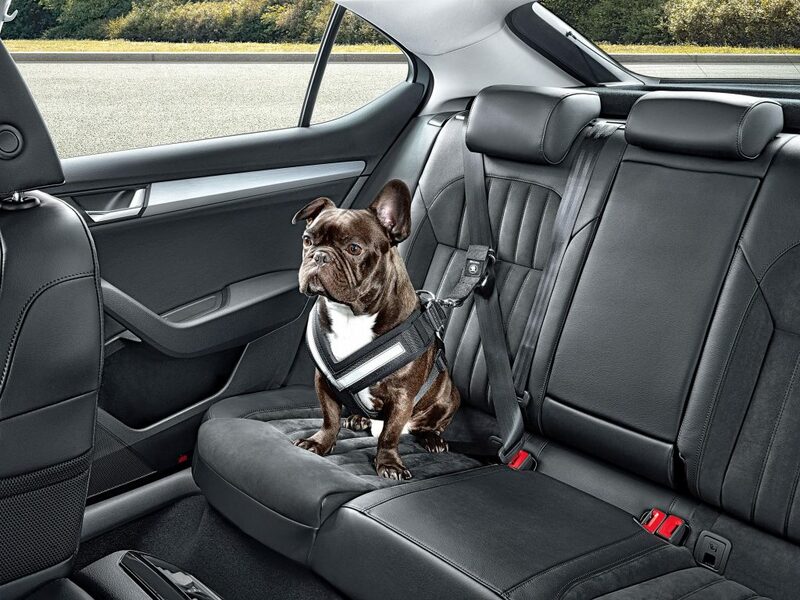 It states that in a vehicle, drivers are responsible for making sure dogs or other animals are suitably restrained so they cannot distract you or injure you, or themselves, if you stop quickly. There’s a good reason for this. A 32kg dog, such as a Labrador, will be thrown forward in a 30mph crash with such force that it would weigh the equivalent of 100kg – a phenomenon safety experts call ‘canine cannonball’. What is a suitable animal restraint in a car? The Highway Code says that a seat belt harness, pet carrier, dog cage or dog guard are the best ways to restrain animals in cars. Often, dog owners will allow smaller pooches to travel in the cabin area of their car. In this case, it’s essential that a harness is used. These fit around the dog’s chest and attach to a seatbelt. 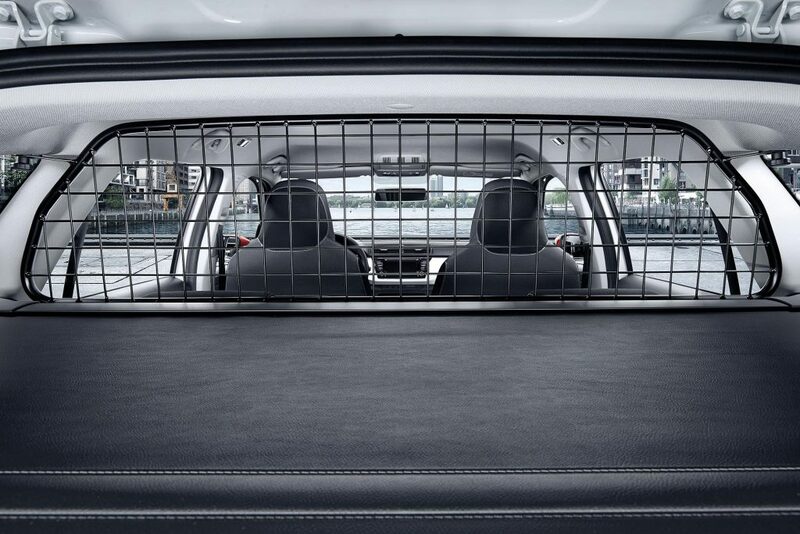 This prevents them wandering around dangerously, and keeps them secure under heavy braking or in a crash. Prices for reputable brands start from less than £10. Certain cars, such as estates and SUVs (4x4s) may have built-in luggage guards. However, these may not be robust enough to contain an animal in the event of an accident. The vehicle manufacturer, or any number of aftermarket specialists, will be able to supply steel animal guards. These divide the boot area from the cabin. Prices start from about £30 for universal products. Another option is to make your pets comfortable in a cage. These come in a wide range of sizes, can fold away when not in use, and cost from £10. Parents wouldn’t let their children hang their heads out of a car window, for the simple reason that accidents happen. So why let a dog do it? It’s a danger to them, you, and a distraction for other motorists. Even when you’re driving and the windows are open wide or the air conditioning is blowing cool air, pets are typically in the boot of the car, away from the air source and often under the full glare of the sun through large rear windows. It gets hot back there, so consider investing in sun shades or having the windows tinted. Dogs Trust has produced more tips for keeping dogs cool, and how to spot signs of dehydration. If travelling within the EU, or from the EU to an unlisted country, then cats, dogs, and oddly even ferrets, are allowed to accompany their owners assuming they have a valid pet passport. Known as the Pet Travel Scheme (PETS), obtaining a pet passport usually involves fitting your pet with a microchip for identification, a blood test, a rabies vaccination and treatment for tapeworm and ticks. You also need a veterinary certificate to prove these have been performed. And you must have signed a declaration of residency. Most of us will remember to arrange insurance for ourselves when travelling abroad. Pet owners also need to think of their animals. Any insurance that is in place in the UK is likely to need adjustment to provide cover when overseas. When planning your journey, check with all relevant travel operators that they will accept pets for travel. On short ferry journeys and the Eurotunnel, a dog is usually permitted to remain in the vehicle. Longer haul operators typically have dedicated areas for pets to be kept safe while at sea. If you see an animal inside a car and are concerned about its welfare – the RSCPA says these are signs of distress – first try to alert the owner. If this is not possible, contact the police or the RSPCA via their 24-hour helpline, 0300 1234 999.